Under the Eucalypts and Wattles by the Hen House the ground is dry and difficult for plantings. 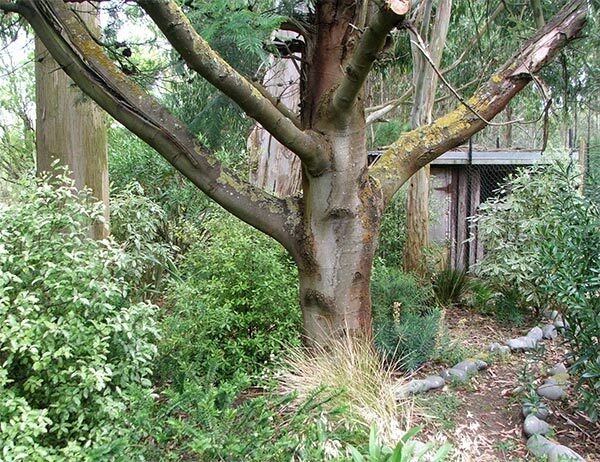 In 2002 I started encouraging Pittosporums and Hebes to grow underneath the tall trees, and it wasn't long before things were starting to look good. These plants grew slowly, but they're tough. When I had hens in residence, the old straw and chicken manure from their Hen House made the perfect instant mulch. 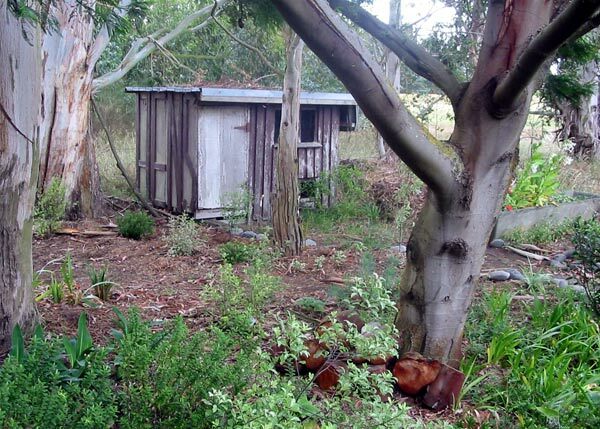 The big Wattle tree was one of the few left standing near the Hen House, and never very happy. These trees are very brittle and don't appreciate wet snow in winter. Over the years the huge branches would split with the weight of snow. Each clean-up removed more and more of the tree. Finally in 2012 it was all over. Parts of the tree were dead, other branches were covered in cankers or just dangling, waiting to fall down on an unsuspecting gardener. It had to go. 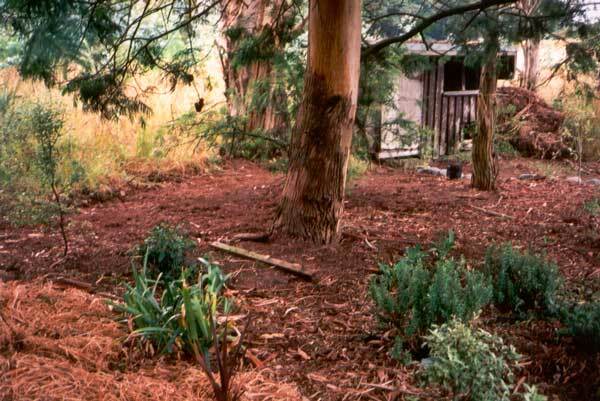 Below is an early photograph of the barren area under the Hen House's gum and wattle trees, before I planted native shrubs underneath. 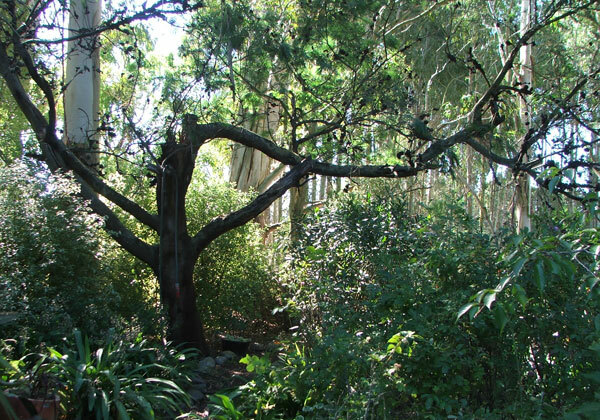 So few plants grow well under gum trees, so I pinned my hopes on Pittosporums. I haven't been disappointed. The ground gets cluttered with gum tree leaves, but there is an up-side. Weeds don't particularly like it!